March 25, 2019 6:15 pm. Manion Cup winner Midterm has been penalised 1.5kg for the Sydney Cup for which he is 2nd favourite. Sydney Cup equal second favourite Midterm has been penalised 1.5kg for the Group One staying handicap at Randwick after his win in the Manion Cup at Rosehill. 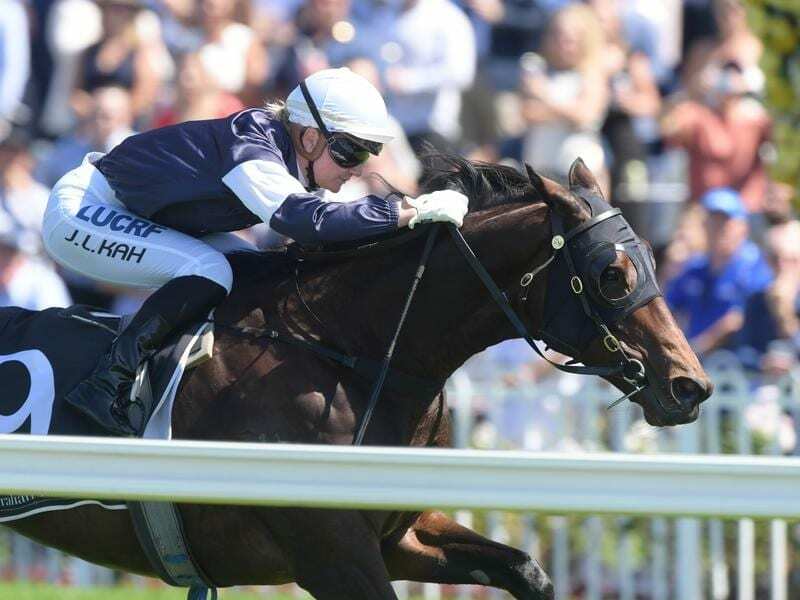 The Liam Howley-trained Midterm won Saturday’s Group Three Manion Cup (2400m) by two lengths on a heavy track and after the win firmed from $15 to $8 for the Sydney Cup (3200m) on April 13. Racing NSW announced on Monday the import had incurred a 1.5kg penalty for the win, taking his Sydney Cup handicap to 51.5kg. The penalty has moved the gelding to equal 19th in the Cup ballot. The Charlie Appleby-trained international visitor Dubhe is the current $5 favourite for the Sydney Cup and is also weighted on 51.5kg. Midterm shares the second line of betting with the Chris Waller-trained Shraaoh who was third in the Manion Cup. Dubhe arrived in Australia on Saturday and is now being housed at the Canterbury racecourse quarantine centre in preparation for his Sydney Cup tilt. Appleby won this season’s Melbourne Cup with Cross Counter and was also successful in the 2017 Sydney Cup with Polarisation.